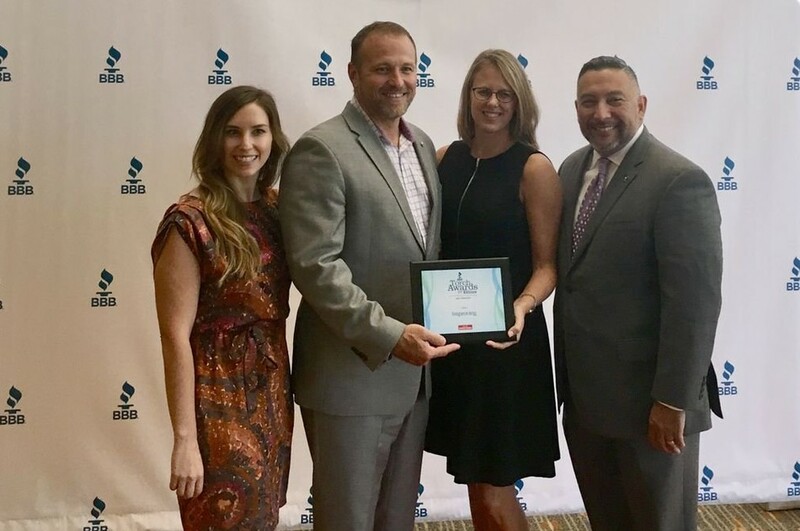 This year, Dallas Business Journal started an award to "recognize companies who display an outstanding level of ethics and integrity in all of their business dealings." The companies that were chosen all exhibit a high level of trust among their community, customers and employees. At Improving, we truly believe that "Trust changes everything" and our first job every day is to build that trust with each other, clients, partners and community. Improving is honored to be among 19 finalists for the inaugural year of the DBJ Torch Award for Ethics, sponsored by the Better Business Bureau. Kristin Kacir, Curtis Hite, Susan Fojtasek and Ric DeAnda at the Torch Awards for Ethics ceremony. To become a finalist, companies must submit testimonials from customers, vendors and members of the community. We reached out to our user group leaders to hear what they had to say about us. "Improving has earned the crown of trust and generosity within the DFW professional community," shares Taha Kadado, organizer of the DFW PostgreSQL User Group. "The style of hosting that Improving has provided the 'technical meetup groups' is unequivocally unique and like no others.... We always look forward to the technical events at Improving as we enjoy the well equipped facility and meeting the highly professional, friendly staff. Improving trust, generosity and respect is a reflection of their culture, values and the way they do business." 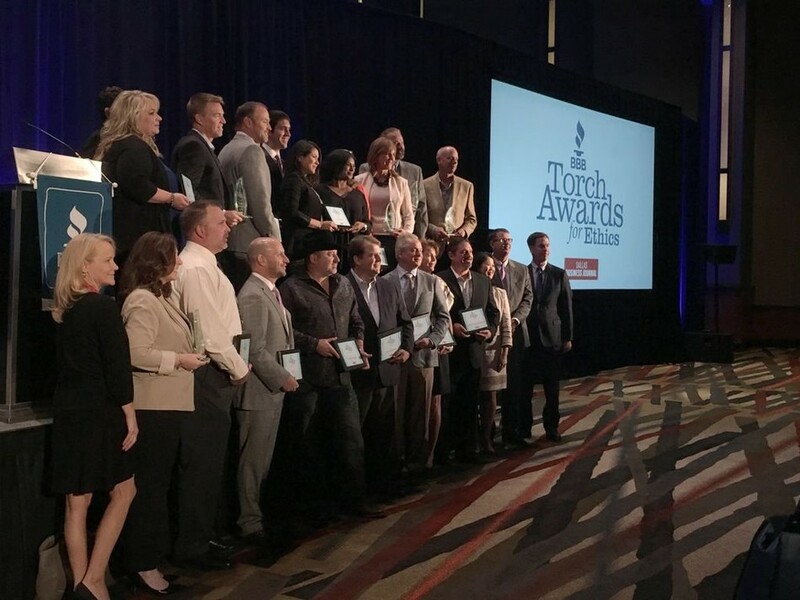 Finalists for the Torch Awards for Ethics were invited to attend the awards ceremony on September 7th at the Hyatt Regency Dallas. Improving was in the large category alongside three other finalist. We are thrilled to be recognized for creating an environment of trust and integrity, something that is our utmost priority and we strive to achieve every day.